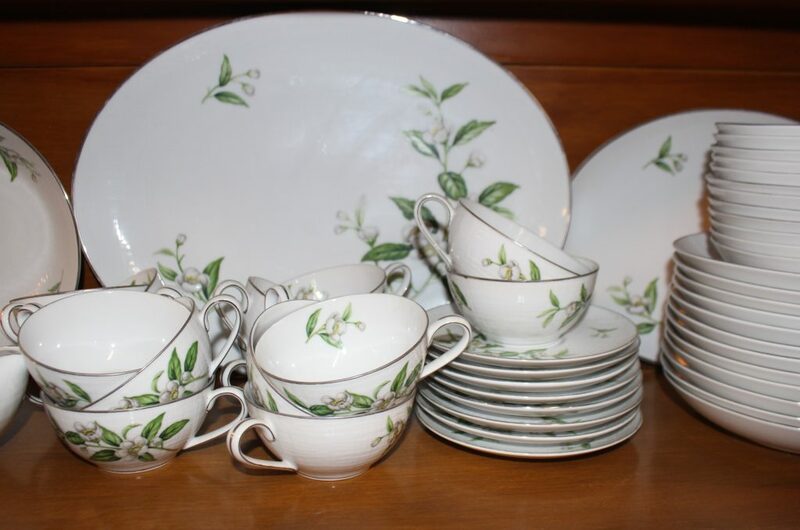 This is a large set of Ceylon Moderna dishware. Included are dinner plates, salad plates, bread plates, dessert plates, serving platter and cups & saucers. There is a complete service for 8 with many additional pieces. Excellent condition.